Hearing Notice in the Estate of James L. Molnar. Hearing Notice in the Estate of Richard Edwards Morrison. Judgment Entry-Newly Discovered Assets; Proof of Service in the Estate of Harry Cedric Kimberling. Proof of Service in the Estate of Virgil Clyde Mitchell III.Hearing Notice; proof of Service in the Estate of Carl Edward Miller. Entry Setting Hearing and Ordering Notice; Hearing Notice in the Estate of Anne Marie DeForest. Proof of Service; Certificate of Title Examination in the Estate of Charles Dean Wright. Certification of Notice to Administrator of Mesiaid Estate of Recovery Program in the Estate of Ellie E. Good. Judgment Entry Order Approving Inventory and Appraisal; Judgment Entry Order Approving Transfer of Motor Vehicle (2003 Buic LCF); Judgment Entry Order Approving Transfer of Motor Vehicle (1995 Ford SW); Judgment Entry Order Approving Transfer of Motor Vehicle (1990 Fairmont Fan) in the Estate of Gordon Willard Short. Proof of Service in the Estate of Grace N. Pryor. Proof of Service in the Estate of Hobert Williams. Subpoena in the estate of Clara Pearl Collins. Entry Setting Hearing and Ordering Notice; Judgment Entry Order Approving Transfer of Motor Vehicle; Entry Relieving Estate from Administration in the Estate of Jeffrey Earl Seckel. Proof of Service in the Estate of Wilbur F. Lemcke. Judgment Entry Order Approving Inventory and Appraisal in the Estate of Constance J. Underwood. Entry-Application to File Will for Record only in the Estate of Judith Ellen Collard. Waiver of Notice of Probate of Will; Certificate of Service of Notice of Probate of Will in the Estate of Mabel L. Braden. 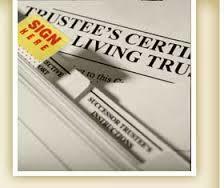 Application for Authority to Administer Estate Receipt: 29364 Date: 06/10/2015; Surviving Spouse, Next of Kin, Legatees and Devisees; Motion to Waive Bond Receipt: 29364 Date: 06/10/2015; Fiduciary’s Acceptance; Certificate of Death Filed; Entry Setting Hearing and Ordering Notice; Entry to Waive Bond; Entry Appointing Fiduciary; Letters of Authority in the Estate of Nancy C. Barber.